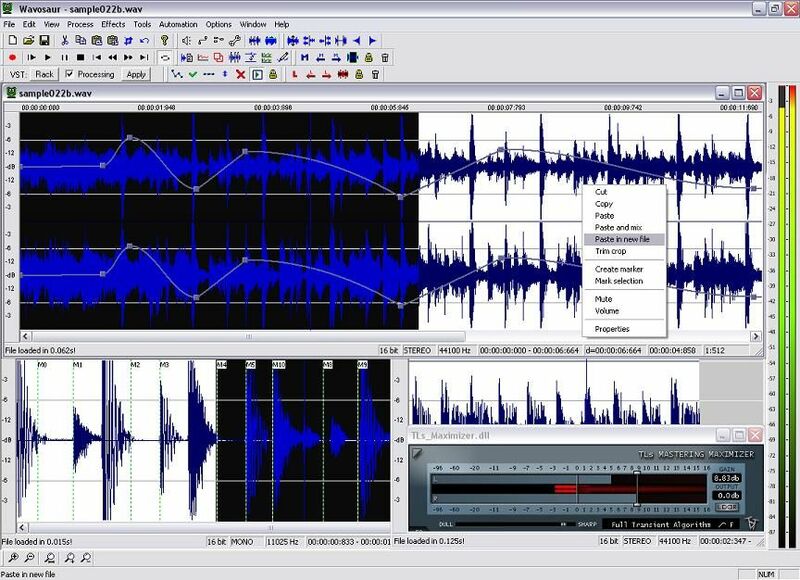 Description: It is a fast and easy multi audiowave file editor, created for editing audio clips, sound designing, mastering, audio managing and recording. Wavosaur is also VST compatible and it is possible to listen in real time to the FX processed audio. Moreover the application can monitor the audio ports and is also MIDI controlable. Among its features: ASIO support, import (MP3, aiff, raw binary, au/snd, ADPCM, and so on), MP3 export, statistic/analysis tools (2d/3d spectrum, real time oscilloscope), process tools (Resample, bit-depth convert 8,16,24,32 bits, pitch shift, vocal removal, etc. ), Batch processing. You can also download Plugins and Skins to extend it.